Carey Mathers arrives in Athens to take a coveted position at the Classical Institute, only to discover the building is shuttered, the institute bankrupt. Journalist Nicholas Tyler believes he is headed for the big time when his paper sends him to Europe. But four months into his assignment, the office is closed. Now he must find freelance investigative projects—or go home. Dimitri Roubinos, born into a seafaring family, knows the aegean and its islands better than anyone alive. But his looks and charm are not enough to overcome the collapse in the tourist trade. Economic chaos is threatening Greece's future—and its past. 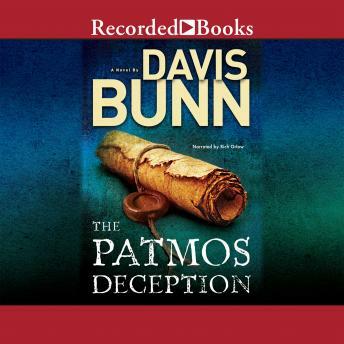 Three distinctive characters are drawn to the storied isle of Patmos, and as they uncover a plot to plunder ancient religious treasures, the stakes are raised to a breaking point. A revelation from beyond time will give new meaning to the sacrifices all three must make ... and hold a special promise for each of them.